❤ ♥ Amazing decoration for Christmas, Halloween parties, camping, barbecue, wedding, Halloween holidays; Add perfect atmosphere to your garden, balcony, patio, yard, pathways, deck, pool or beach, etc. ❤ ♥LED in the light cast a safe, soft, mood-enhancing glow. ❤ ♥1. Please be kindly noted that as a solar powered product, the working time is weather sensitive. ❤ ♥2. Please make sure to turn on the switch before use. ❤ ♥3. If the ground is too hard, do not twist or hammer it with force.Try to soften the ground with water and then insert into the ground. ❤ ♥1.Try to cover the solar panel by your hand and watch the lights will flame or not.The lights will be delayed for 1-2 seconds.Please be patience after turning on the solar lights by prssing the ON/OFF button. ❤ ♥2.If the lights can not work,maybe the battery is empty.We recommend you to charge them for over 10 hours under sunlight when you first using them. ❤ ♥3.Solar panel will still charge even the outdoor solar torch lights are in the closed state. ❤ ♥ 100% Brand new, TOP A quality, easy to use. LED in the light cast a safe, soft, mood-enhancing glow. ❤ ♥ Warm tips: 1. Please be kindly noted that as a solar powered product, the working time is weather sensitive. 2. Please make sure to turn on the switch before use. 3. If the ground is too hard, do not twist or hammer it with force.Try to soften the ground with water and then insert into the ground. 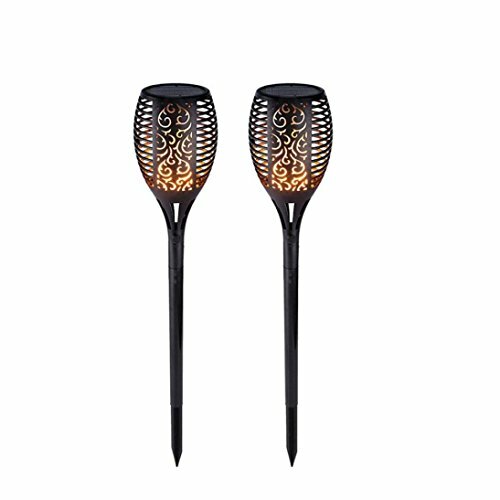 If you have any questions about this product by Lovewe_Garden Lamp, contact us by completing and submitting the form below. If you are looking for a specif part number, please include it with your message.